ADDITIONAL PHOTOS 2-5, 11, 29 KINDLY PROVIDED BY W KUALA LUMPUR, BECAUSE SOME AREAS OF THE HOTEL WERE TOO CROWDED TO PHOTOGRAPH. I started off my staycation at the W KL on the wrong foot, quite literally: rather than put pedal to the metal, I could’ve taken advantage of the hotel’s WHEELS service. WHEELS not only helps with any transportation arrangements but also provides valet parking at the hotel entrance. Oblivious to such a convenient service, I parked my monstrous SUV and lugged my luggage to the ground floor rather than the 8th floor for check-in. No matter, it was an opportunity to see the hotel’s street level entrance. As expected from the uber-hip brand, the lobby was a study in futuristic glamour: a minimal space of glass and steel, the austerity of which was broken up by the undulating curves of the seating area furniture, ambient lighting, and discreet staff standing to attention. I finally made it to the correct floor, where the Living Room was. Curved sheer screens created designated zones in the large open-plan space while allowing a seamless flow of movement and traffic. At the Welcome desk, I was greeted by a W Insider. As the name suggests, the W Insiders are the go-to for what’s fresh on the local scene; from ‘blink and you’ll miss it’ pop-ups to events so secret you’d need government clearance to attend. Then there’s of course the famous Whatever/Whenever lifestyle concierge service, who’ll get “what you want, whenever you want it - as long as it's legal”. So far, so good. And then I was shown to my home for the night - the Studio Suite. Huge did not even begin to describe my “room”. At 92 square metres (990 square feet), the Studio Suite was larger than my London apartment. So large, in fact, that even my 24-70mm lens (that’s a wide angle, by the way) could barely capture the entire living room nor the bedroom, hence I had to resort to using a press photo to fully illustrate my spacious surroundings. The Studio Suite is an open plan space with privacy options - the living area is separated from the bedroom with sliding privacy walls on either side of the rooms, likewise with the bathroom. When fully open, the entire Studio Suite feels like an infinity hall - one could stand in the living room and gaze through the bedroom and into the bathroom (left). The effect is a fluid, intuitive space that is made for luxurious lounging. That said, had I wanted to get into work mode, I was perfectly placed to do so. A working desk just off the living room is strategically placed beside the concealed W MixBar (above), where productivity is aided by espressos made on the complimentary Nespresso machine as well as high-speed Wi-Fi. 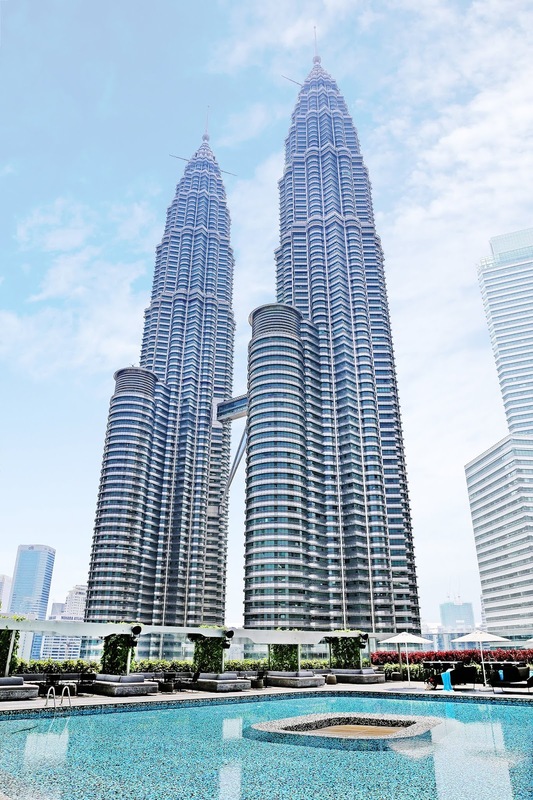 But naturally, I got no work done - I was too distracted by both TVs (55-inch LED HDTV and Bluetooth soundbar in the bedroom, 43-inch LED HDTV in the living room) as well as views of Kuala Lumpur’s skyline from the large floor-to-ceiling windows. Sweet treats: a welcome platter of candies awaited me, including a white chocolate model of the Petronas Twin Towers. It was delicious. I ate it one tower at a time, and for a fleeting moment, it was simply the Petronas Tower. When it comes to small living, I would always prefer a large living room and tiny bedroom. After all, a bedroom’s primary function is sleeping; so all one really needs it enough room for a bed, a wardrobe, and a dresser. But with the Studio Suite no such compromises were neccessary. The bedroom (above) was just as spacious as the living room. Taking centre stage was a king-size W Signature Bed, the famously comfortable likes of which one can buy from the mattress and base to the bedding sets. A walk-in-closet and dressing table flanked one side, while on the other side of the bed an armchair perched by yet another floor-to-ceiling window made for a reading nook. Happily, these generous proportions extended to the bathroom (below). The bathroom - itself already larger than some apartment living rooms - boasted dual sinks (the key to a harmonious marriage, I always say), a toilet area with a door for privacy (again, another key to a happy marriage), a shower booth with a glorious rain shower, and most impressive of all; a large free-standing bathrub facing a 24-inch LED HDTV. The amenities, naturally, were as bountiful; plush bathrobes and slippers, and full-sized bottles of Bliss® shampoos, conditioners, shower gel, hand and body cream, and face wash.
Dodging the fashion police is hard work. So I decompressed at the AWAY® Spa. 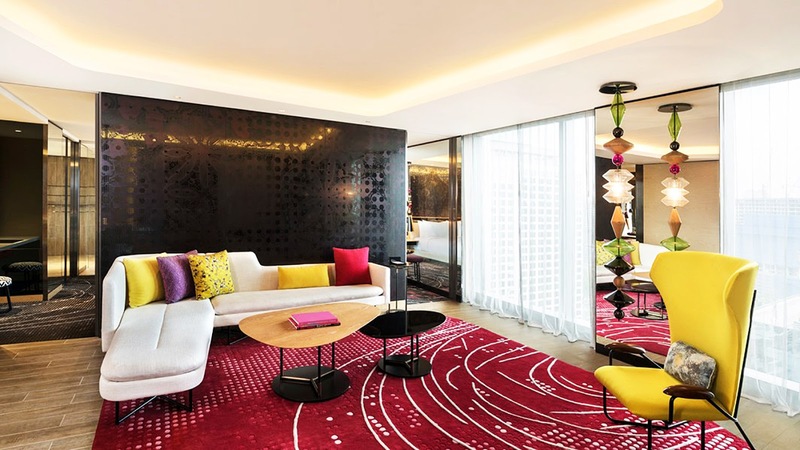 The W brand’s signature spa concept is designed for the modern-day jetsetter with a distinctly millennial mantra of Detox, Retox, Repeat, with 2 customised facilities: the Beauty Bar and the Spa. The Beauty Bar is serviced by 176 Avenue, an all-in-one beauty destination offering offers everything from manicures and pedicures to eyelash extensions. 176 Avenue was a passion project of a friend which I reviewed when it launched its first branch, so it was nice to see its outpost at the W KL The Spa, too, covers all beauty bases; with exceptional facilities and high-tech treatments ranging from Bio Sauna with Infrared Lights to Vitality Pool. 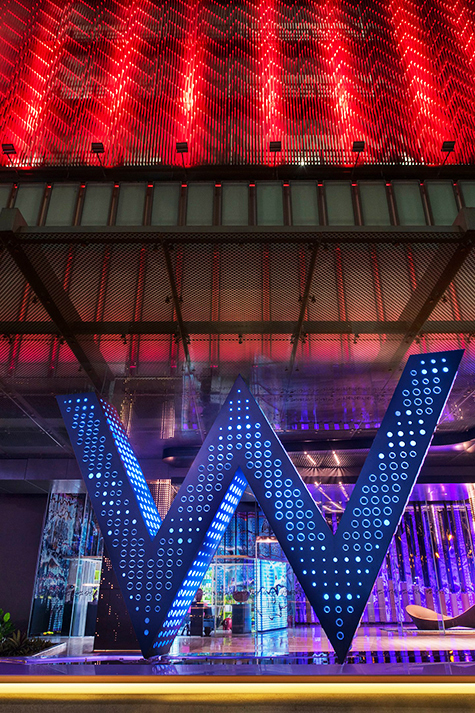 It’s all very cutting-edge, very future-forward, befitting of the W brand. But I opted for a traditional treatment - the specially created local massage, Malay Urut, which pays homage to the hotel’s location in Kuala Lumpur. My massage, natural was pure bliss. The knots and kinks in my neck and shoulders were expertly undone, while I drifted in and out of semi-consciousness to the soft pulsating purple mood lights (above) - guests choose the intensity and colour settings using a remote - as well as the uplifting aroma of the W Hotels signature room fragrance (left). 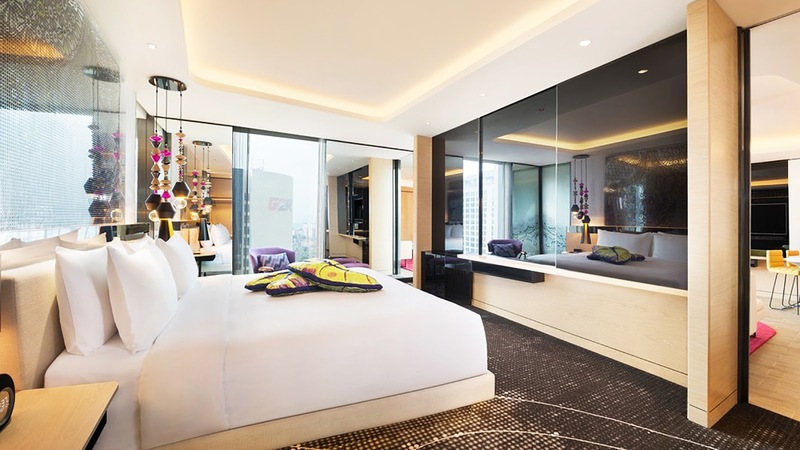 Finally, what is indisputably the crown jewel of the W Kuala Lumpur. 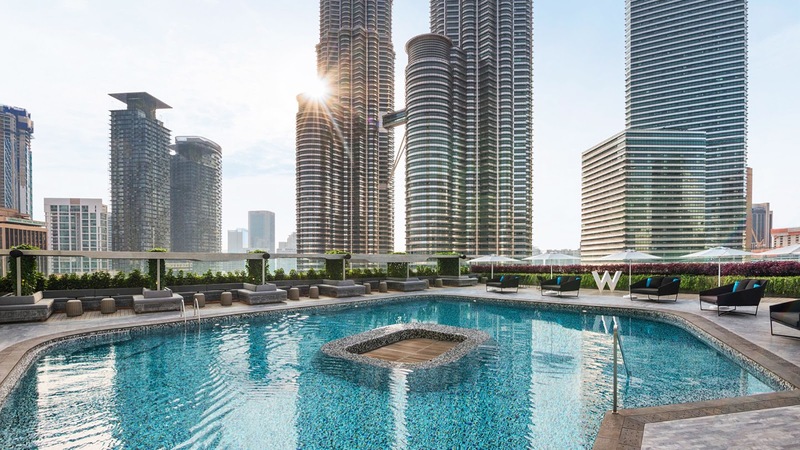 The WET® Deck pool bar cemented its spot as the hottest spot in town when it decided to build a pool with an unhindered view of the Petronas Twin Towers as its breathtaking backdrop. The night of my stay was an E! Asia party, and even the most worldly of Kuala Lumpur’s biggest and brightest names in the entertainment industry couldn’t resist taking selfies with the striking icons of Kuala Lumpur. By day, the effect is clearly no less impressive. Surprisingly, having such a behemoth tower over the pool did not cast a shadow on sun worshippers - there were many a sunbather in languid repose, moving a finger only to order yet another cocktail. So, how does the W Kuala Lumpur fit in with the franchise? Very well indeed, I must say. 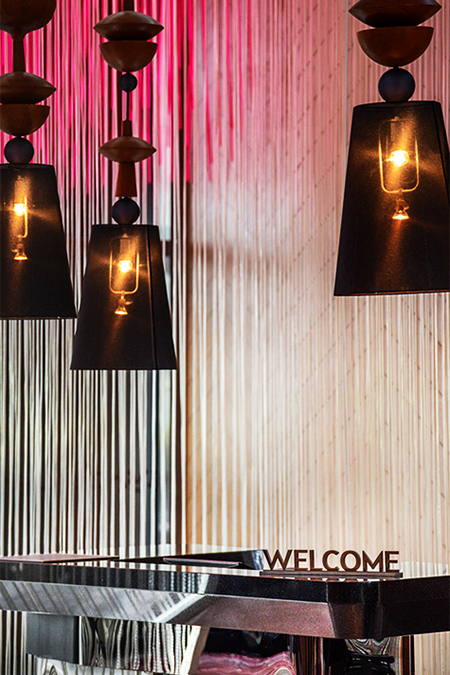 The W Kuala Lumpur delivers in all departments, from service to stay to lifestyle. 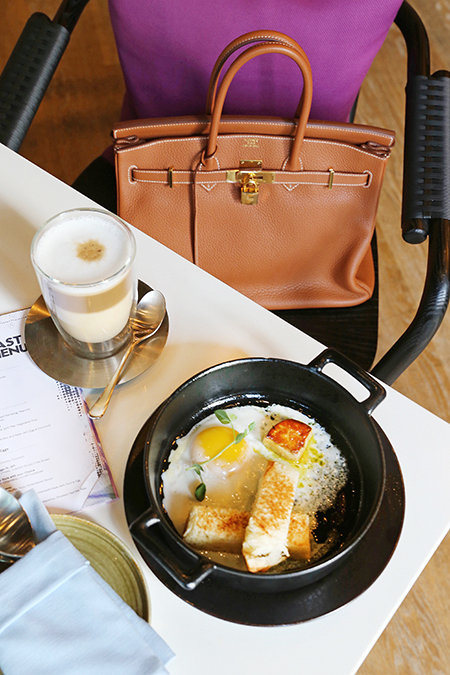 True to the too-cool-for-school brand, the W Kuala Lumpur has already established itself as the place to see and be seen, be it at brunch with banging beats, poolside parties, or tapas and cocktails on Friday evenings. The wait was well worth it, and I’m happy to say, Welcome home. I WAS INVITED TO REVIEW THE W KUALA LUMPUR. MY STAY AND EXPERIENCE WAS COMPLIMENTARY.